What is the flat iron steak you may ask? 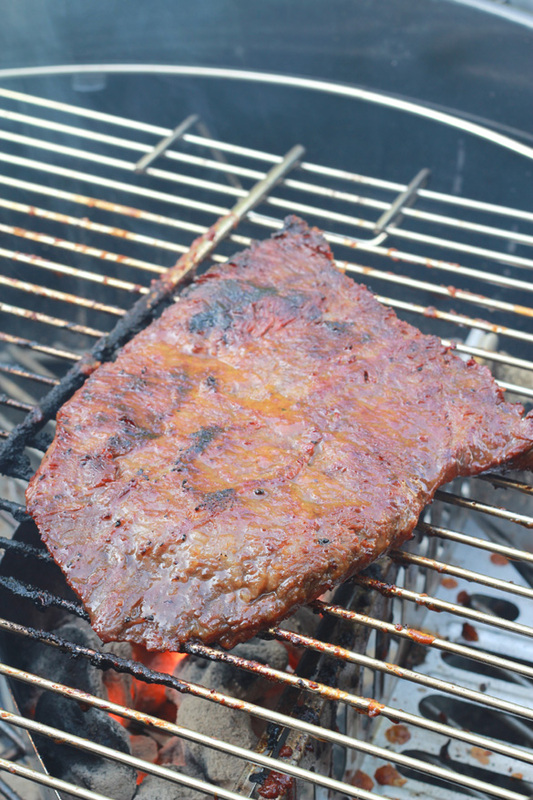 The flat iron steak is a relatively new cut from the beef shoulder. It was introduced in 2002 when researchers at the University of Nebraska and the University of Florida created this cut from the chuck shoulder clod top blade roast. It’s considered one of the tenderest cuts you can buy and you may have seen it on an upscale restaurant menu. It often surprises and impresses beef lovers with its intense flavor, juiciness, and marbling. Sometime around 2008, chefs caught wind of this cut and it started appearing on menus of American steak houses and it continues to grow in popularity. In a butcher shop, the flat iron steak can sometimes be labeled as "top blade" roast. Due to the gracious folks at Snake River Farms, I’ve been able to develop a couple of delicious recipes to feature their Wagyu American Kobe flat iron steaks. Snake River Farm’s premium Gold Grade meats have the highest level of marbling that they offer in their American Kobe line. The flavor of their SRF flat iron steak is sure to please all true beef connoisseurs. I published my first SRF flat iron steak recipe previously and here is a second. 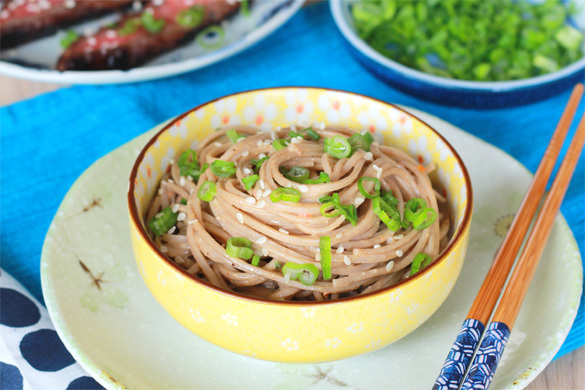 This recipe draws inspiration from my travels to Japan where I experienced the sublime Japanese tradition of eating top quality beef with soba noodles. I marinated this tender cut of beef briefly in a fermented soy bean paste called miso to give it a unique Japanese flair. I also used my SYD Beef Rub which was my secret weapon in winning many awards including my 2010 KCBS Ranchers Reserve 1st Place brisket award and 2011 KCBS Ranchers Reserve National Sirloin award. 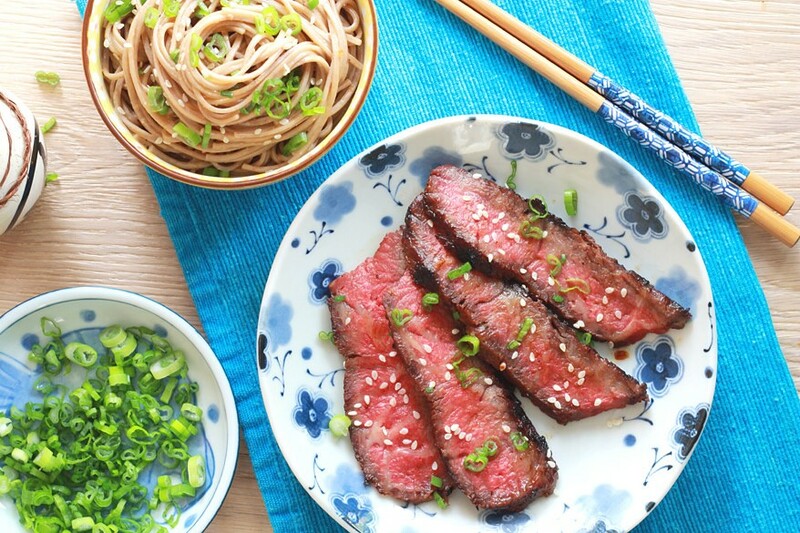 To showcase this steak, I topped it with some chopped scallions and white sesame seeds. 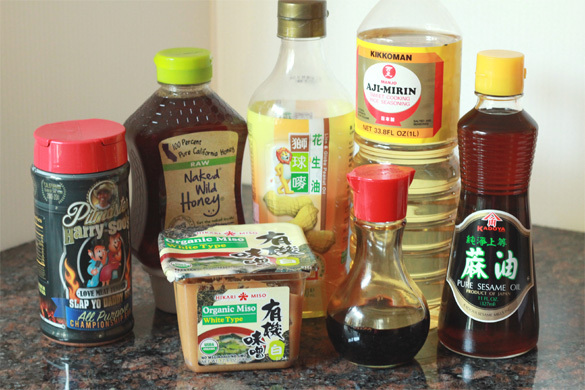 In a mixing bowl, combine the steak marinade of miso, SYD rub, soy sauce, Mirin, vegetable oil, sesame oil, and honey. Setup and preheat your grill with a hot zone and a cool zone. Remove the steaks from baking dish and brush aside excess marinade. Place the steaks on a hot zone on your grill. Remove the steaks from the grill and transfer the steaks to a cutting board, cover loosely with foil and let rest for 5 minutes. 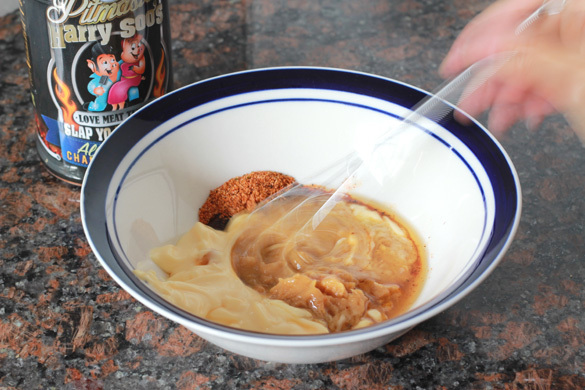 Cut the steaks against the grain into ¼-inch slices and place on top of the noodles. I am seriously just loving everything about that miso marinade. Definitely a recipe I need to try.. this flat iron steak looks so delicious! 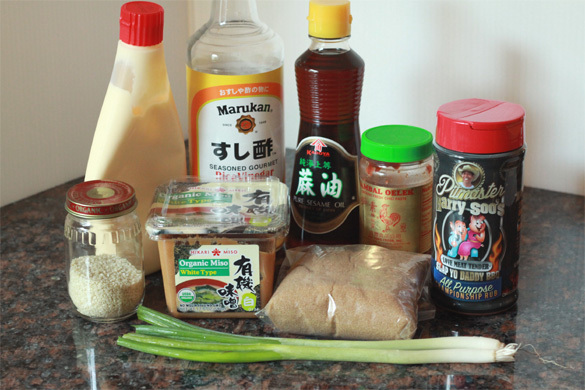 Ok this is a recipe for me 🙂 loving your miso marinade.. can’t wait to make it. Happy New Year.